After both Runtastic and RunKeeper got updated with Google Fit integration in the past couple of weeks, it's Nike+' turn today. As one of Fit's initial launch partners, this update was expected and should come as a surprise to no one. All you have to do is launch the app once it's updated and follow the prompts to give it access to post its data to your Google Fit account. If you don't want to enable this feature, you can simply dismiss the prompt or later disable it under the app's settings. 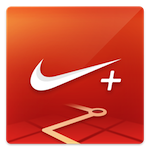 Whether you're a fan of the sports brand or not, Nike+ Running should be on your radar as an activity tracking service. It offers the usual GPS tracking capabilities for outdoor activities, but can also use your phone's accelerometer to track your steps for indoor exercises. That's a feature I miss on Runtastic when I'm running on a treadmill. The app's interface, however, looks like it was taken straight out of iOS 6. Still, you have to hand it to Nike+' developers, they're keeping up with the times, functionality-wise. They even added support for the Samsung Gear S in this version, for what it's worth.